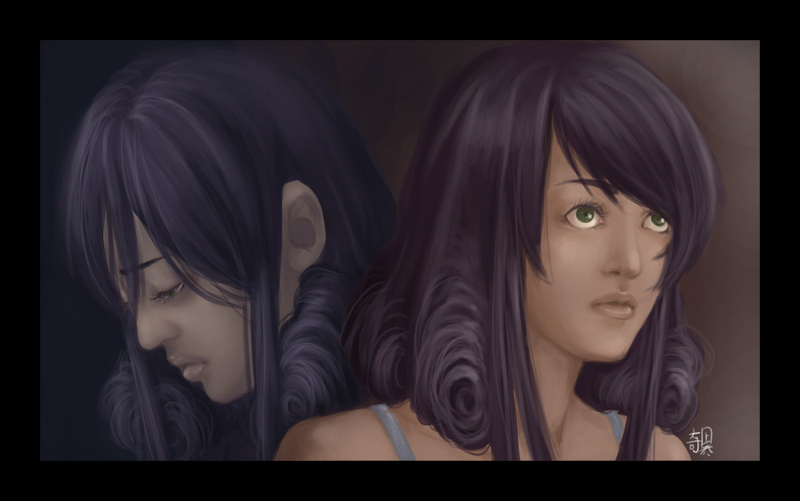 A painting of my and my friend's twin characters. Tried to show the differences in personality with color + expression. Done in Open Canvas 3.03 with a reference of a Bollywood actress.